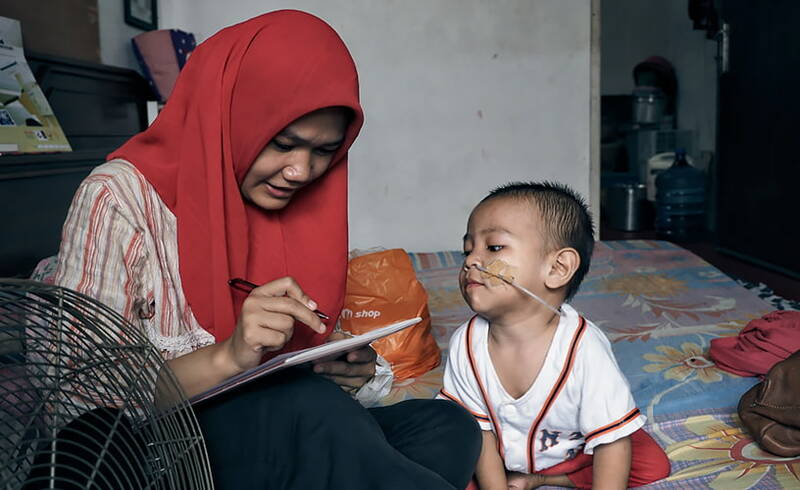 Yayasan Rumah Rachel provides palliative care for children in home settings. The organisation’s “nurses on motorbikes” give holistic care to the children, including pain relief, symptom management, spiritual and psychosocial support. Deeply embedded in the community, the organisation’s nurses and community health workers are symbols of female strength, who have chosen to use their skills and training for the good of the community.